St Louis Smile Center has been in the Bridgeton area for over 30 years. Dr Vadnal has been our fierce leader since May 2008 and we are proud to say we have carried the same standards & quality of dentistry for all these years. We continually welcome new patients to join our dental home. At the St Louis Smile Center, we are a team of professionals who believe our patient’s comfort is a major concern. We believe in knowing our patients as people and treating them as individuals. We strongly believe that the best way to practice dentistry is with clear communication & clinical excellence. We pride ourselves on continually educating our patients & ourselves to a healthier dental life. For several years team members have traveled with Smiles for Life volunteers to the Dominican Republic to give dental care to the underprivileged. I have been in the dental field 24 years. 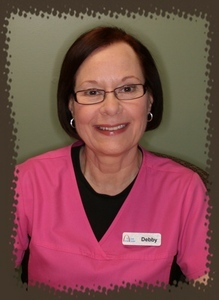 I first worked with Delta Dental & most recently as front desk receptionist, insurance steward & patient coordinator. I love seeing the smiles on patient faces & hearing how we have changed some ones life because they look and feel great after treatment in our office. 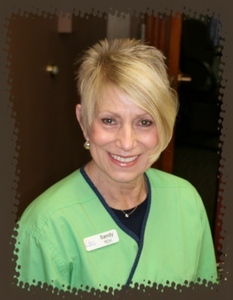 Our team works extremely well together to help make every patient feel like a member of our dental family. I am from Ipswich, England & came to the USA as a military bride. I am now a transplanted ‘Brit.’ I still love traveling home to see my family & to ship all my childhood ‘goodies’ to my IL home. I love cooking & getting to use some of my ‘goodies’ for my husband. He declares I am the best cook ever! I do enjoy watching the cooking channels & recreating ALL their luscious recipes. I also enjoy sewing & painting. 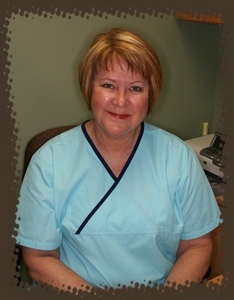 I have been with the St Louis Smile Center for over thirty years. I have seen MANY changes & worked for a lot of dentists in that time. I can truthfully say the dental team Dr Vadnal has now is one of the best. We pride ourselves in working as a unit to give our patients the best experience they have ever had in a dental office. I have never met a stranger & look at each patient as a new friend. Every ‘friend’ is complimented & made to feel special. I enjoy my time out of the office with my husband, newly married son & daughter-in-law, & teen-age twin girls. The girls have been on private soccer leagues for years & are fortunate enough to be on an excellent team in college. That has involved lots of travel, patience, & organization. I love helping others & working within my church. The girls in the office call me the ultimate ‘party girl’ because no meeting or get together should be boring – “life is an excuse for a party”! I started in the dental field in 1970. I love making our patients comfortable & to feel at home while in the office. I treat each patient as family. 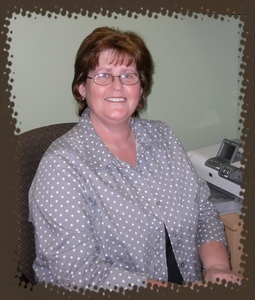 By being organized & efficient helps to keep the clinical side of our practice run smoothly. Our team loves seeing the beaming smiles on our patients’ faces when we have remade their smile. It is great being a part of Dr. Vadnal’s team. Outside the office I share my time with my husband, 3 grown children, & a wonderful grandson. In July I will be ‘Mimi’ for the second time; our family is very blessed. Other than being Mimi, I enjoy gardening, reading, working out, & cuddling with Jake & Sissy (my tabby cats). My husband & I love to work in our church & to travel. We have been to Mexico & many places throughout the USA. My ultimate travel vacations would be to Greece & Hawaii. 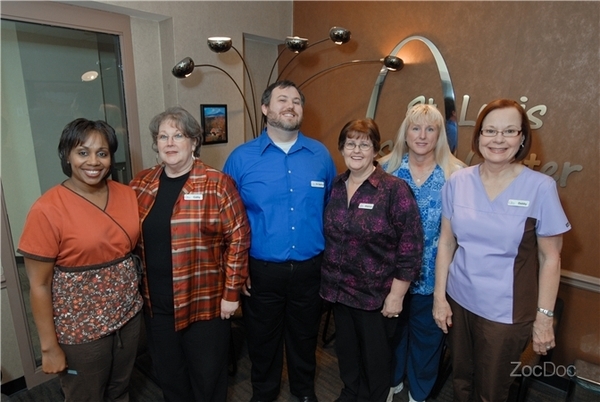 I started with the St Louis Smile Center as a fill-in for medical & bereavement leave in 2009. I fell in love with Dr Vadnal & his team; the feeling was mutual as I was offered a full time job! I have worked in the dental field for 26 years & feel blessed where I am now. I love the instant gratification I get from my work & working with a wonderful team of ladies. My life has been blessed with a wonderful husband, a daughter & a son. This year our son has joined the school band; we are trying to determine if this is a blessing or a curse as we listen to him practice. I enjoy working out, reading & shopping (as any fashionista would). We have traveled to Jamaica, Nassau Bahamas, & throughout the USA. Our dream is to travel to Paris, Barcelona & to Africa. This year I celebrate 36 years as a dental hygiene practioner. I received my BS in Dental Hygiene from the University of MO-Kansas City & earned my MA at Webster University. Professionally, I have enjoyed both private practice & was a Dental Hygiene Educator for most of my career. I retired from teaching in 2004 but still consider myself a “life long” learner. An interesting career challenge was working as a hygienist in Zurich, Switzerland. Learning to give flossing instructions in German was fun. 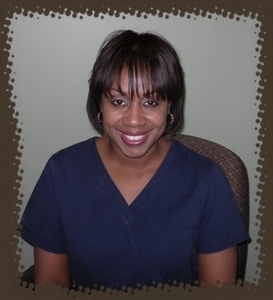 Here at the St Louis Smile Center, I work part time & enjoy the friendship of a great team. 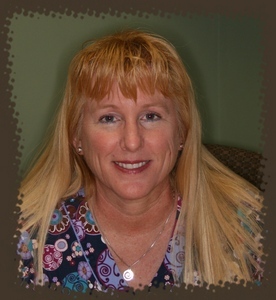 I use my experience in the dental field to continually assist our patients to obtain a healthier mouth & lifestyle. With my free time I love to travel both nationally & internationally and to read books from my book club. I am interested in interior decorating for any season & if there is a chance to learn anything my curiosity leads the way. I am proud to be a part of the St Louis Smile Center. I work one Saturday a month but I look forward to that day as the patients are ‘my regulars’ & the team is happy & fun. I have been in the dental field since 1965 but received my RDH in 1992. When I went to school for my RDH degree Mary Lou who was one of my instructors. I work to travel! I have grown children living on the east & west coast – what an excuse to be on the go! This year I took a trip with a friend to the Tuscan area of Italy. We rented a car & went where we wanted when we wanted. It was wonderful – country is gorgeous, food fabulous & wine too good! It was over way too fast.